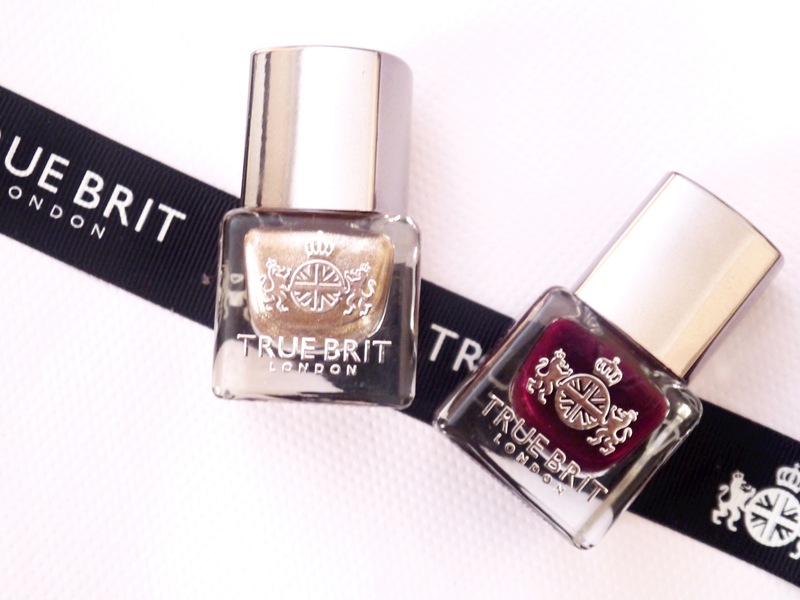 Today I have two True Brit nail polishes to share with you that I think will be perfect for any celebration this Holiday season. I stumbled across True Brit at Bloggers Fashion Week and was kindly gifted with the two stunning shades I’ll be sharing today. I’m a sucker for good packaging so the first thing I thought when I saw the polishes was “How cool is this packaging! ?” and then I thought about how glam and perfect that they would be for the holiday season. Pall Mall is a rich and chic wine colour. It’s part of the True Brit Christmas Trio collection called Midnight mass (another thing I love about this brand are the quirky and catchy names). This polish is a nice upgrade from wearing the classic red shade. I’ve been wearing this nail polish for most of Autumn and it has seamlessly made its way into my Winter Favourites. A favourite for sure. Heirloom belongs to the “The Three Kings” Christmas collection. It’s a antique gold with a mirror foil effect and in some lights even looks Rose Gold. Its a sheer to buildable polish so you can layer it on top of your favourite nail polish or wear it on its own. The Glitter in this polish is more of a shimmer and very refined so I think you’ll be pleased to know that you don’t have to go to war with a nail polish remover and cotton pad. I wasn’t a fan of the deeper tones in the nail polish at first but then it quickly grew on me; it truly is a unique shade. To get the best finish with these nail polishes you’ll need two coats, patience and a top coat to make them last and get that luxurious glossy finish we all love. No matter which holiday you’re celebrating, I hope you have a great one full of lots of gratitude & laughter.